In a heavy bottomed saucepan, combine cocoa and sugar. Add cream, corn syrup, chocolate, and salt. Continually stir over medium heat to dissolve all the sugar crystals. Bring to a boil, wipe down sides of pot with a pastry brush dipped into cold water to ensure no sneaky sugar crystals are hiding. Stop stirring and continue to boil to soft ball stage (235 - 238 degrees Fahrenheit). It will take approximately 7 minutes - watch closely!!! While the fudge is boiling prepare a 9x13 pan by smearing with butter on the bottom and sides. Have the 1 1/2 Tablesppons of butter chopped and ready to dollop on top of the fudge once it is poured into the prepared pan. When the fudge has reached soft ball stage, remove form heat and add vanilla. Pour into the prepared pan, and dollop the butter over the top. Allow to cool to room temperature. You can place outside, if it is cold, to hurry the process but don’t let it get too cold… it will take more energy to turn it later. While it is cooling prepare an 8x8 pan with parchment paper the extends past the edge of 2 opposite side and spray lightly with oil. The parchment draping over will allow you to grab the ends later and lift the fudge out and be sliced into beautiful uniform pieces. Once it is room temperature there are two ways to ‘turn’ the fudge. The old fashioned way is with a paddle (wide, strong wooden spoon with a flat top). Butter the counter top, put the fudge on top and start pulling the fudge on top of itself with the paddle. It will get easier as you go, then harder, than easier, then exasperating until you feel utterly defeated and at that moment you will begin to start seeing the glorious shades of opaque threading through the mixture and you know you are nearing the end…. The whole process takes 30-40 minutes. The other method is using a Kitchen Aid mixer with a paddle attachment. Butter the mixer bowl and add cooled fudge. Beat on low - med until the turns opaque. Be prepared to scrape the sides of the bowl down as the fudge goes through its sticky phase. The fudge is ready when it turns opaque (not transparent) and is no longer glossy or sticky. It is a breath taking process really. Once it is turned, press into prepared pan immediately and smooth the top with an icing spatula. Wrap tight and refrigerate or freeze. I have no idea how long it lasts because it never sticks around long enough to test its residency. YES PLEASE. This is my Gwynnie’s FAVOURITE Christmas treat, as well it should be. This recipes was inspired by the Chocolate Meringues in the Duchess Bakeshop Cookbook. Whenever we visit Edmonton we head over to the Duchess pronto and eat patisseries. The Duchess is absolutely inspiring and a must visit, if you can! I use weights for this recipe…. If you do not have a kitchen scale then GO BUY ONE. They are pretty darn cheap these days AND they are kinda fun. Preheat oven to 300 degrees Fahrenheit. Line 3 baking sheets with parchment paper. Combine the egg whites, confectioner’s sugar and salt in a metal/glass mixing bowl that has been cleaned of any oils. I usually wipe the bowl and whisk with a paper towel soaked with lemon juice or vinegar. Place your mixing bowl(i am using a kitchenmaid mixer bowl) over a pot of simmering water (double boiler). Stir mixture until it reaches 120 degrees Fahrenheit. Remove from double boiler and allow to cool for 10 minutes. Transfer bowl to mixer with a whisk attachment and whip on high for about 10 minutes. The peaks should be stiff and glossy. Using a spatula fold in vanilla. Using a teaspoon, spoon messy drops of meringue onto the parchment. They should be about 1.5 - 2 inches wide and at least an inch apart. Warm salted caramel and chocolate (separately) until they are melted, but not hot. If they are too hot it will effect the meringue. Working with one row of meringue mounds at a time, put a small dollop of caramel and chocolate on each one. The dollop is about 1/4 - 1/2 tsp in size. Using a toothpick swirl the caramel and chocolate into the meringue. Lower the over to 275 degrees Fahrenheit. Place baking sheet in the middle of the oven and bake for 30 minutes. Allow to cool completely. Store at room temperature for up to one week. There are a few skills that get us through life. Talking, bathing, working…. the basics. There is one skill that will make ALL THESE THINGS BETTER. You may loathe the kitchen, yet this is the one thing you should teach yourself to do. It will sustain you. The Salted Caramel Skill. Salted Caramel improves lives everyday. Specific real life case in study…mine. Perfect in every season and makes a irresistible offering to friends. Do it do it do it do it do it. This is really what Nike was talking about. Heat granulated sugar in a medium heavy bottomed sauce pan over medium heat, stirring constantly with a wooden spoon. Sugar will slowly start to melt and form clumps, it will eventually turn an amber colour and melt completely. KEEP STIRRING. Always. The sugar can burn quickly. Once the sugar is melted, add the butter. The caramel mixture will bubble up and spit butter, be careful..
Stir butter until completely melted, about 2 minutes. Sometimes a whisk work better at this stage. Slowly drizzle the cream over the mixtures while stirring. Once all combined continue to boil for 1-2 minutes, while stirring. Remove from heat and add salt. Pour into a jar and allow to cool. Store in Refrigerator for up to 2 weeks. Devour as needed. Walking through the door and the warm sugary smell of cookies intoxicating your senses is one of my favourite memories from childhood. They were routinely the same cookie. Sometimes my mother would throw us for a loop with her coconut cookie, but usually it was the plain ol’ chocolate chip oatmeal ones. These are not fancy. They do not require browned butter, sifting flour, necessary refrigeration time etc. Throw the ingredients in a bowl in a sloppy manner and you are good. I have had this recipe memorized for years. I reguraly fill my home with the smell of these delicious confections to please the hungry bellies walking through my door after school. Prepare 3 cookie sheets with parchment. I prefer LIGHT cookie sheets ~ the dark ones can cause excessive browning on the bottom of baked goods. Preheat oven to 350 F.
In a mixer, with a paddle attachment, cream margarine and sugars. Add eggs and vanilla. Scrape down sides of the bowl and mix until evenly combined. This is where I get sneaky…. Traditionally all the dry ingredients are sifted together and then added… I simply add the flour on top of the creamed mixture, make a small well and nestle the baking soda, baking powder and salt inside. Place the oats on top, give it a light mixing with a spoon and continue to blend with the mixture until combined. Add the chocolate chips and mix until distributed. Using a 1 1/2 inch cookie scoop, spoon or your hands make 1 1/2 inch mounds of cookie dough onto the prepared baking sheets. Lightly push down the tops, not flat like a finished cookie, just a wee bit. Bake for 10 minutes. Allow to cool on sheet. Freeze well! Caramel apples….. the indulgence my kids have come to rely on every time autumn makes it appearance. Crushed pretzels or chopped peanuts. Wash apples and rub them vigorously to dry, removing any wax or substances that could affect how well the caramel sticks. Insert the wooden sticks through the top centre of the apple. I chanced upon this recipe yeeeeears ago and still feel as committed as the first time we met. I have no idea what the original source might be, but may they be praised for bringing my beloved Caramel and I together. Combine sugar, butter, corn syrup and ONE CUP of the cream in a large saucepan. Use a nice big pot with a proper heavy bottom. Candy making can be temperamental with cheap, thin pots. Stir and bring to boil over medium heat. Once a boil is reached, add the remaining cup of cream. Wanna know what will happen if you add all the cream at once??? It will boil over, all over your stovetop relentlessly. Really. Bring back to a boil, stirring. Once it is boiling, stop stirring. Remove any sugar crystals that may have adhered to the sides of the pot by washing down sides with a pastry brush and clean, cold water. Allow to boil undisturbed. It will take approximately 10 minutes to reach soft ball stage. Depending on the intent of your caramel indulgence will determine the temperature you cook it to. For a soft, firm ball stage cook between 238 - 242 degrees F.
Pour into a parchment lined pan or dip pretzel rods or apples directly into the pot. I have a complicated relationship with swig style of cookies. They are not my weakness like salted caramel or gelato, yet they demand my attention. I am halfway through a cookie before I realized I have nipped one from the freezer again. They are SOFT and delightful frozen. Rarely do it eat cookies fresh or at room temperature…. I savour the frozen cookie. The recipe is delightful the way I found it HERE. Please bake it and freeze it….. and report if you struggle with the same magnetic force of the swig. The thing is…. these melt in your mouth pumpkin cookies really do MELT IN YOUR MOUTH. If you, by chance, steal one from the freezer… they are soft, delicious morsels of sweet, tender heaven. The only reasonable thing to do is to make them and then eat them. ALL. I made my buttermilk pumpkin scones twice and had just enough puree pumpkin left over to make these little goddesses. I bought biggest can of E.D. Smith pumpkin puree and used every drop. I followed the recipe exactly (a rarity, for me). The only needed change was adding 2 minutes to the baking time ~ approximately 13.5 minutes total. I believe in scones for every season. I do have to limit how often I make them, as I eat FOUR within the first hour they are ready. Every.single.time. Promptly groan about it… then repeat cycle. Random tidbit… Growing up my mother would make ‘scones’…. She made the bread for the week on Mondays and if she was feeling extra generous would pan fry stretched out pieces of dough for us. We would smother them with honey butter… and poke holes in them to peek through and laugh each others scone face. That is what I believed scones were ~ delicious, honey buttery fried bread. Nope. Preheat oven to 400 degrees Fahrenheit. 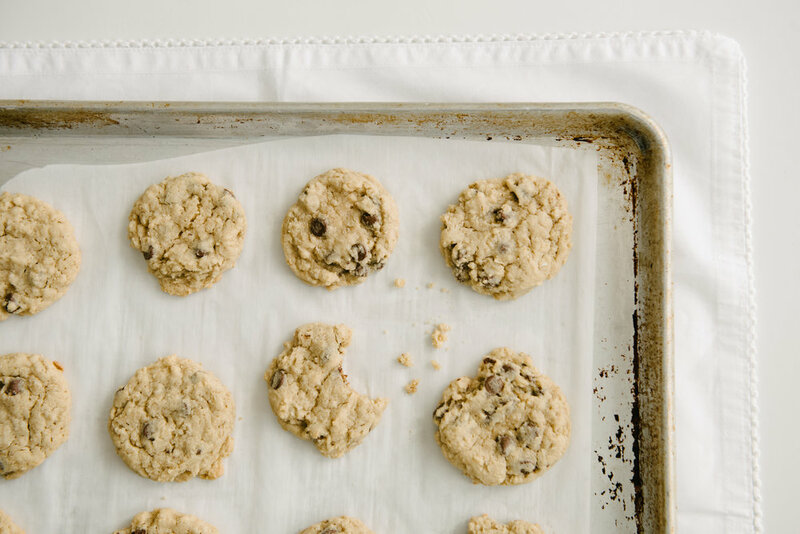 Prepare a large cookie sheet with parchment paper. In a medium bowl, combine flour, sugar, baking powder, salt, cinnamon, nutmeg, allspice, ginger and cloves. Cut butter into the dry ingredients using a pastry cutter. A food processor can be used, if desired. Cut the butter until only small pieces remain. Stir in pumpkin puree using a spatula to work into the mixture. Add buttermilk. Mix with hands. Mixture should start to come together and loosely hold it’s shape in a ball. Don’t allow dough to get too wet, but you can add a teaspoon of buttermilk at a time if it is too dry. It should barely be holding together. Dump onto a clean counter. Form into 2 round disc, about 3-4 cm high. Brush the top of discs with buttermilk (or cream, if handy) ~ this step is optional. Cut each into 8 wedges and place on baking sheet. Bake for 18 - 20 minutes. They will rise up and start to brown lightly on top. While the scones are baking, whisk glaze ingredients together. The glaze should be able to slowly drizzle off the end of a fork. Once scones have cooled a bit, drizzle with glaze.